Another gun safety advocate is endorsing Pennsylvania’s Republican U.S. Sen. Pat Toomey in his neck-and-neck race against Democratic challenger Katie McGinty. Former Arizona congresswoman Gabby Giffords and her husband, Mark Kelly, mentioned the endorsement in a Monday editorial . 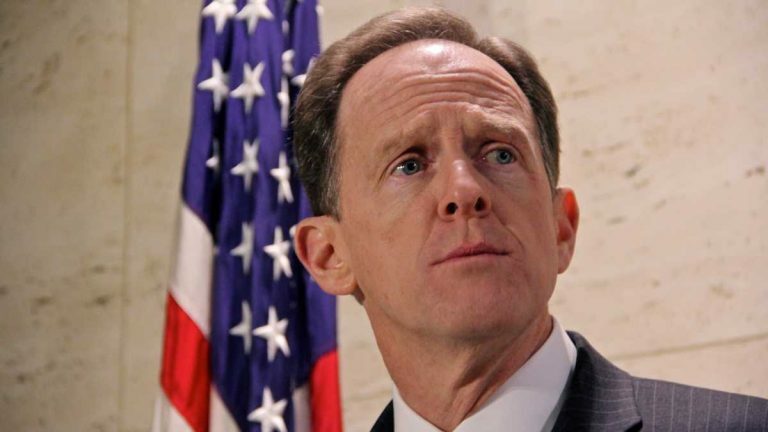 They cite Toomey’s 2013 vote to expand background checks on sales at gun shows and online after the mass shooting in Connecticut’s Sandy Hook Elementary School. They say Toomey broke from the “gun lobby” on it. Giffords was gravely wounded in another mass shooting in 2011. McGinty’s campaign says her positions on gun control are more in line with Giffords’ and that Toomey has hardly strayed from NRA positions in a flurry of recent votes on background check bills. Toomey also is endorsed by billionaire Michael Bloomberg, another gun control advocate.